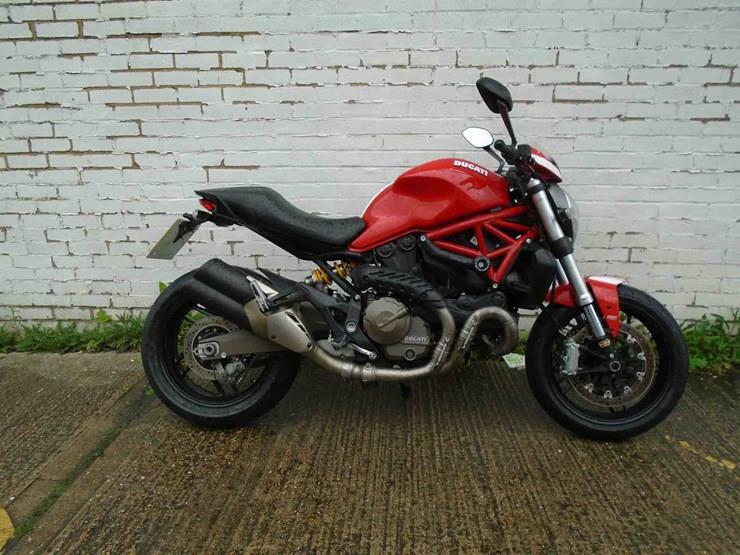 Today's bike of the day is this 2015 Ducati Monster 821 on sale for £7200. "This 821 is bold, highlighting Ducati's racing heritage with the white through stripe, amongst their most well known naked motorcycle. An 821cc, Testastretta 11° L-Twin, red with white racing stripe, comes with full service history, ABS/traction control (DSP = Ducati safety pack). Stripe includes racing windshield and rear seat cowl." "The 821 motor is more than enough, it's manageable, easy to ride, yet has a turn of speed and handling that makes it fun too. Yes, it's expensive new, yes there are a few little niggles with it, but overall it's an excellent bike. " And if you like, check out this Ducati and see more Monster 821s for sale here.